Annually, members of our Undergraduate Queendoms must maintain a satisfactory G.P.A., uphold all fiscal responsibilities and perform all programming and community service requirements as set forth by the the national board of MKU Sorority, Inc. Active members are eligible to participate in personal/professional development programs, conferences, sisterhood retreats and other national initiatives. Am I comfortable with the information I am receiving? Does the organization demonstrate a commitment to its objectives? Do the values of the organization mirror my own? Am I a leader prepared to work with and for others? 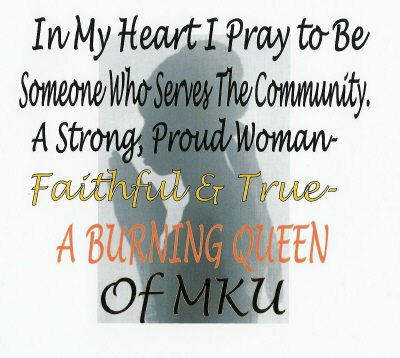 All women seeking membership must attend an Interest Meeting and scheduled preliminaries as set forth by M.K.U. Sorority, Inc. Candidacy for membership is contingent on approval of the required materials submitted by the applicant and the satisfactory completion of an application and interview conducted by members of Malika Kambe Umfazi Sorority, Inc. All prospective members will be required to successfully complete a minimum six weeks and four days educational process. Full membership is extended by invitation only. Current members of the National Pan-Hellenic Council (NPHC), National Panhellenic Conference (NPC), National Association of Latino Fraternal Organizations (NALFO), National Multicultural Greek Council (NMGC) and local sororities are not eligible for membership. Persons holding membership in honorary, academic or professional societies are eligible for membership. Malika Kambe Umfazi Sorority, Inc. upholds a standard of no arbitrary exclusion from membership based on race, religion, national origin, sexual orientation or disability.